Educate young minds in the knowledge of Vedic wisdom, to lead a virtuous life. Enthuse the spirit of giving with a service attitude. Encourage problem solving with courage, confidence and faith. Entertain creativity, expand power of concentration and focus. Elevate young minds to higher levels of consciousness, and fill their hearts with love and reverence for God. 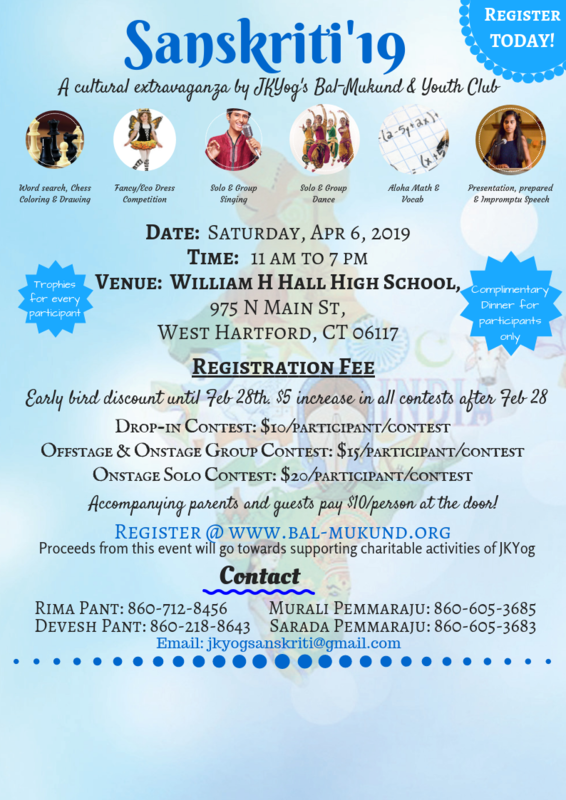 Bal-Mukund activities include character building, language classes, stories and discussions, famous verses, kirtans, yoga, pranayam, meditation for children, games, arts and crafts. 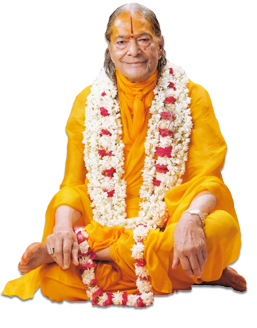 These set of KRIPALU values will teach children to be heroic from within & instill nobleness in in their thought, word and deed. Enroll Your Child – Give them a gift of a lifetime. Shree Maharajji’s belief that, “The foundation of a great personality and a pure life is laid by the training received during childhood itself.Hence, the greatest gift of love that the parents can give to their children, is to help them develop divine qualities,” is the guiding light that provides direction to all our Bal-Mukund centers. Make us strong by your support !! Bal-Mukund conducts various charity and donation programs, all through the support of patrons like you! Contribute and be an integral part of the charitable activities undertaken by our organization and make a difference in the lives of many children. **JKYog is a registered 501(c)(3), non-profit organization and your donation is tax deductible. Get more information about Sanskriti’19 and register for the event. 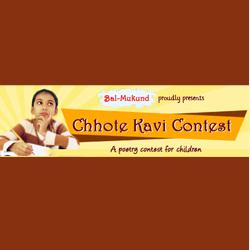 Announcing the Chotte Kavi Contest 2015 -2016 REGISTRATION OPENS ! Loving parents and teachers teach their children to dream with their eyes open, of a noble and fulfilling life. They fill their hearts with lofty ideals and inspiring thoughts, and then fondly watch as their wards strive to attain the goals that have been mapped in them in their childhood.